I have to admit, 2nd only the my addiction to stamping, is my addiction for coffee! 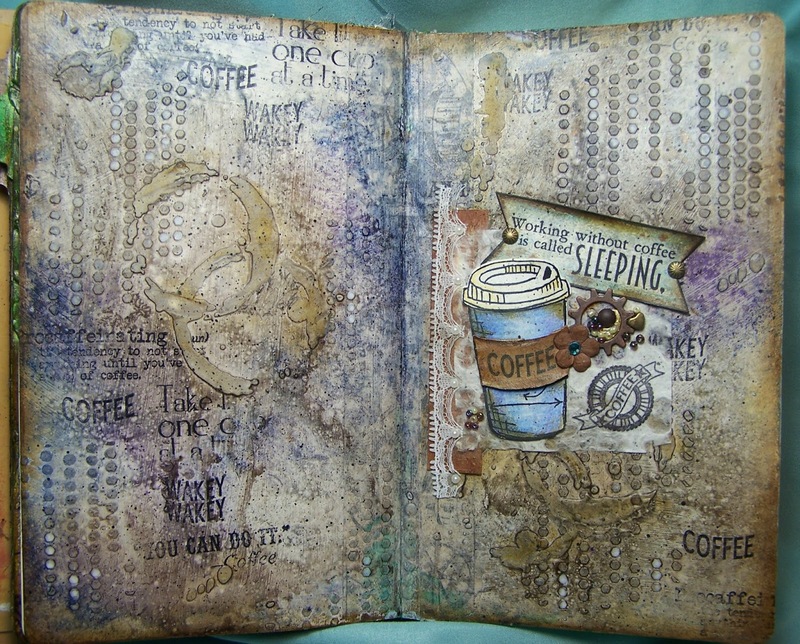 The art journal page below pretty much sums up my attitude about working without coffee. 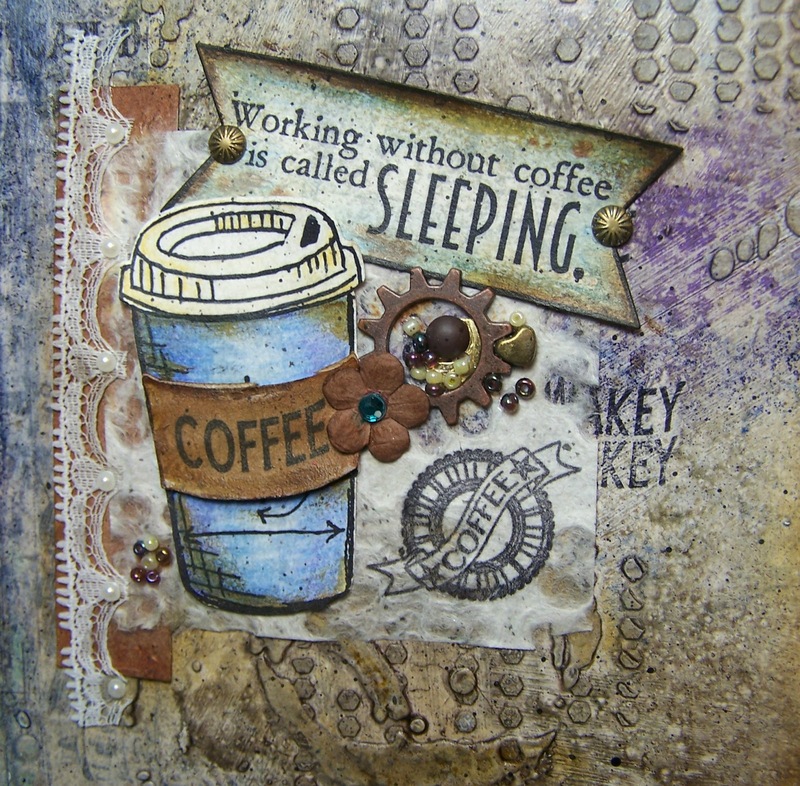 lol I just love the “Coffee Break” stamp set from Club Scrap that I used for the background stamping! And who can go wrong with the Coffee Cup stamp and die set from Tim Holtz/Ellison/Sizzix? It made the perfect focal point for this coffee themed page. I just love working with all of the mixed media paints, pastes, inks and sprays! It has been a special week for me as my mom has been in town visiting and I have truly enjoyed her company. We have spent time crafting, watching movies and even colored Easter Eggs! It has really been a wonderful week for me…hope you are all having a great week too.